Being eco-friendly doesn’t mean your personal appearance should suffer. Keep your hair gorgeous with an anti-static wooden hairbrush. What are the benefits of using wooden hair brushes? Wooden hair brushes are better at distributing sebum produced by your scalp down the shaft of your hair, keeping your hair naturally conditions. Wooden hair brushes help keep the frizz at bay when the sebum is distributed through the hair. Use a gentle shampoo and warm (NOT hot) water. Rinse with cold water. You can download our care guide here. Being eco-friendly doesn’t mean your personal appearance should suffer. 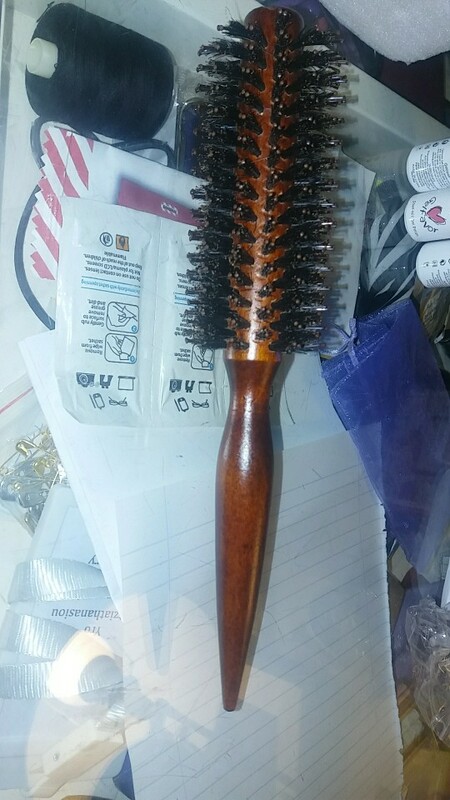 Keep your hair gorgeous with an anti-static boar bristle wooden hairbrush. What are the benefits of using boar bristle hair brushes? Boar bristles are perfect for distributing sebum produced by your scalp down the shaft of your hair, keeping your hair naturally conditions. Boar bristles help keep the frizz at bay when the sebum is distributed through the hair.